It is with the greatest humility I write this article today. I’m overcome by God’s grace as I reflect on the person I was before He did the converting work in my life. I was a wreck and by all appearances to most seemed to be together. If you ask anyone that knows me personally I can almost be certain they will say that I’m “nice”. I know lots of nice people in this world and just like many who are nice, that doesn’t get you to Heaven. In fact so many are deceived in their “niceness” it’s an opiate that can condemn them to hell. It matters little what people think of your demeanor, it matters eternally what God’s Word says about your heart. That is why this chapter is so important. I was the nicest guy you ever knew that was on a crash course with an eternity of misery, and the church I was attending was holding my hand as they walked me down the wide road that was leading to my destruction. If you will humbly evaluate your life by the truth of scripture and overlay the words of Joseph Alleine God may show you the “christianity” you think you have may not be the Christianity the Lord Jesus Christ calls us to. Please join me in this study of “The marks of the unconverted”. I really appreciate how simply Alleine makes his case. He is clearly a man that God has blessed to show truth and exposing the hearts of the deceived. This must be premised before we proceed, that it is most certain that men may have a confident persuasion that their hearts and states are good while ye they are unsound. Who better persuaded of his state than Paul, while he yet remained unconverted? (Rom vii 9). Can you prove your conversion? Do you know when it happened and your testimony? Are you certain God did a work in you? Not your strong persuasions. Those with the marks on their foreheads include what many in the days of this writing were pretty obviously sins. Alleine is pointing to Ephesians 5:5-6, Revelation 21:8 and 1 Corinthians 6:9-10 Do you not know that the unrighteous will not inherit the kingdom of God? 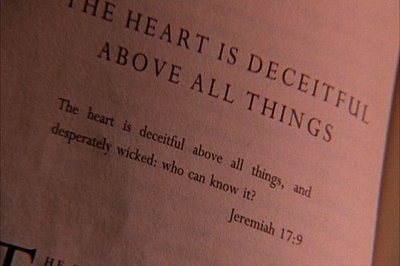 Do not be deceived. Neither fornicators, nor idolaters, nor adulterers, nor homosexuals, nor sodomites, nor thieves, nor covetous, nor drunkards, nor revilers, nor extortioners will inherit the kingdom of God. Today these aren’t even considered sins that would exclude you from God’s kingdom. I want to focus my attention on those that sit in churches today and are deceived about their eternal destination. I think this should be a primary mission field for the 21st Century. Those, just like me, that are deceived thinking they have it all figured out but lack true conversion. This chapter is so rich and so heavy with biblical truth I cannot fit it all into this one post, so I will condense them to primarily Alleine’s (12) points and urge you to read this chapter if you read none other in this book. Or a presumptuous confidence that their condition is already good. Many cry, ‘Peace and safety’, when sudden destruction is coming upon them. Make a mistake here, and you perish. My dear friends and readers, I couldn’t possibly say this better than Alleine, but I beg you to be honest with yourself. Repent, fall on the finished work of Christ and be saved if you are under conviction this day. Do it now while you can. ← Do you bow your knees? Thank you Kevin for sharing your thoughts on this book. It was my favorite read of 2012. I continue to refer back to it often. A most power “in your face” book on the reality of the deception in the church I have ever read. I hope anyone that reads this post or these comments will read this book and invest heavily in these teachings. If you are saved it will convict you but it will also affirm you. If you are deceived it will challenge you in your deception and you might be saved. If you are unsaved it will call you to repentance and you might be saved. I think it should be a must read for every professing Christian. thank you for your comments I have been forever blessed by this writing. Praise God Kathy. I’m hopeful God will speak through these words.